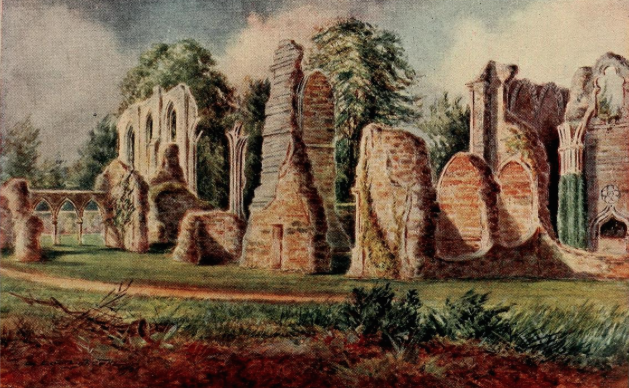 For garden and landscape historians some of the more obvious sources for knowledge of what a site was like, and how it has developed, are paintings and, more recently photographs. 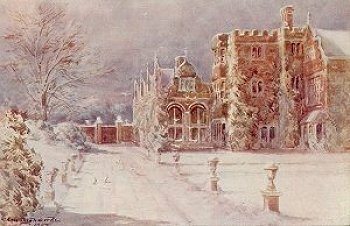 So it’s quite surprising that the name of Charles Essenhigh Corke is not better known. 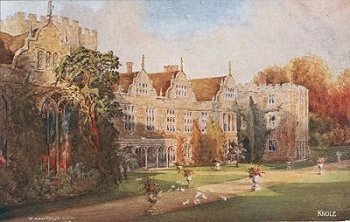 Although he never moved from his home town of Sevenoaks where he was born in 1852 and where he became a professional studio photographer, in his spare time he also enjoyed painting. 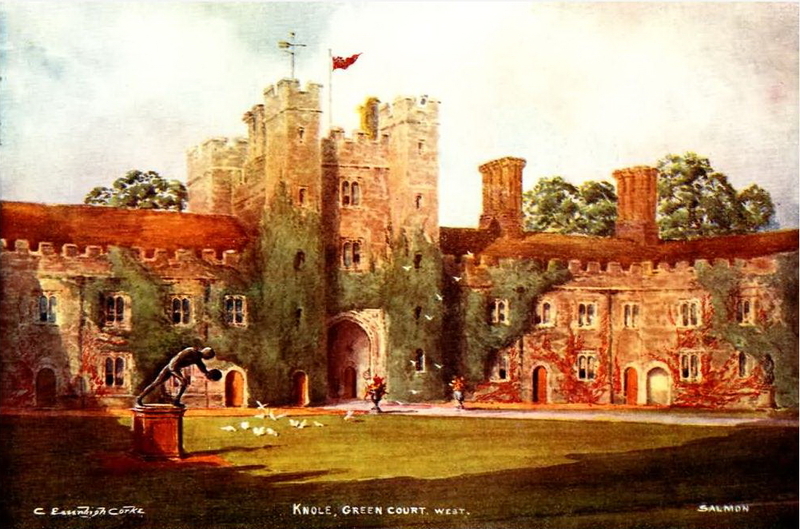 His preferred subjects were the great houses and gardens of west Kent including Hever, Ightham, and Penshurst, but above all Knole. 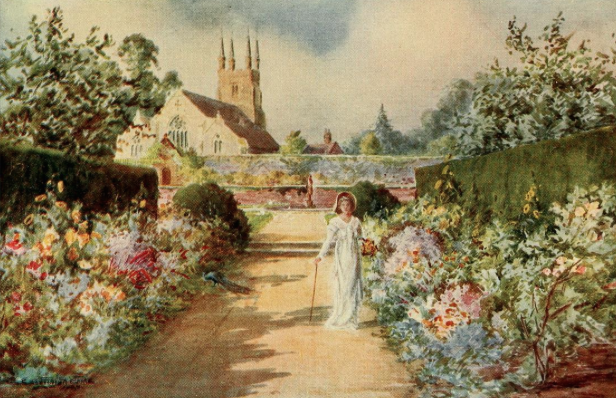 Many of his paintings were used to illustrate books or turned into highly popular postcards. 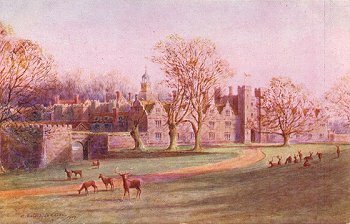 He joined the Royal Photographic Society in 1889 submitting platinotype* photographs of the interior of Knole for their annual exhibition. 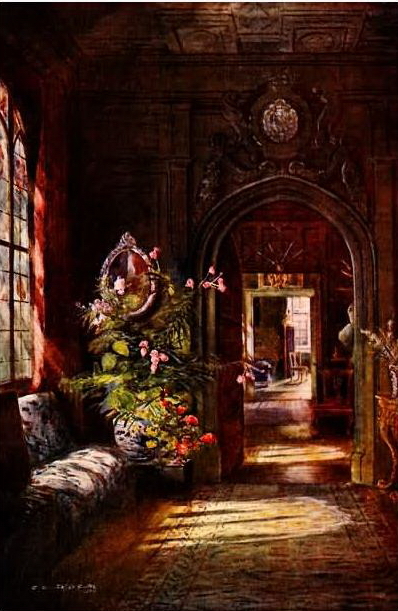 In the following years he submitted more interiors and photographs of paintings in the house. 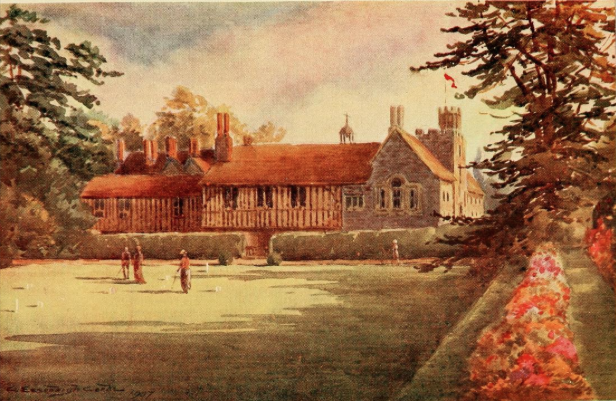 These are still used by conservators and historians at Knole as evidence of how the rooms were arranged and even named. His work was obviously well regarded because according to the Royal Photographic Society’s Journal [Dec 1997], he became one of its first fellows when that distinction was introduced in 1895. 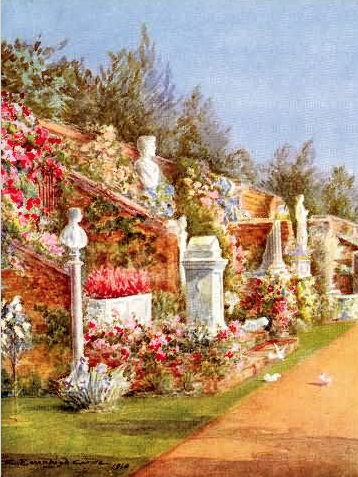 But it is his paintings that are probably more interest to garden historians. 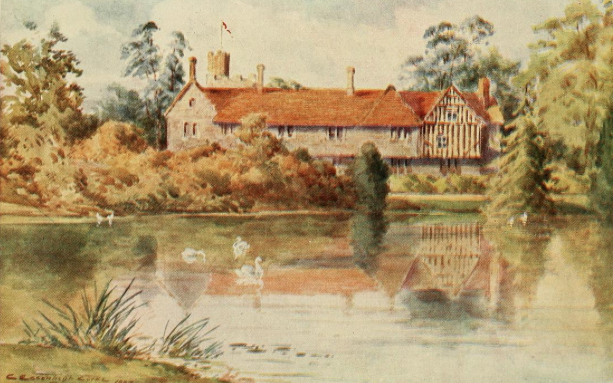 It was perhaps fortunate for Charles, and definitely fortunate for posterity that Sevenoaks had just become home to an ambitious printer and bookseller Joseph Salmon. 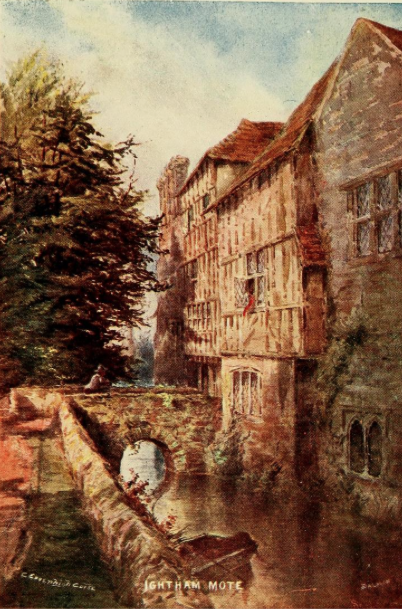 He had moved from London buying a stationer’s shop with a general printing business at 85 High Street, just round the corner from Essenhigh Corke’s studio. 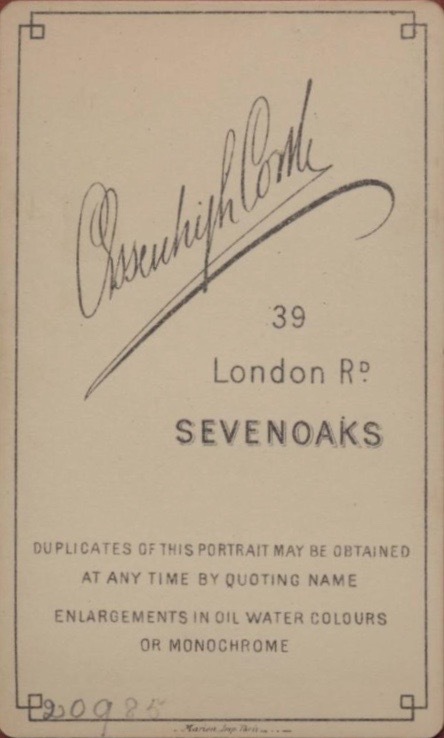 Salmon’s son, also Joseph, became interested in the commercial potential of printing and publishing pictorial post cards and, around 1890, the firm produced a collection of twelve black and white post cards of Sevenoaks and district. 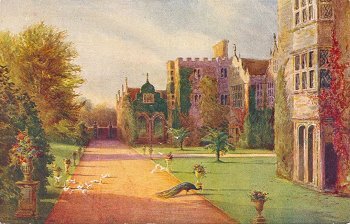 This was followed, by a small collection of coloured post cards of local scenes – amongst them a series by Charles Essenhigh Corke. 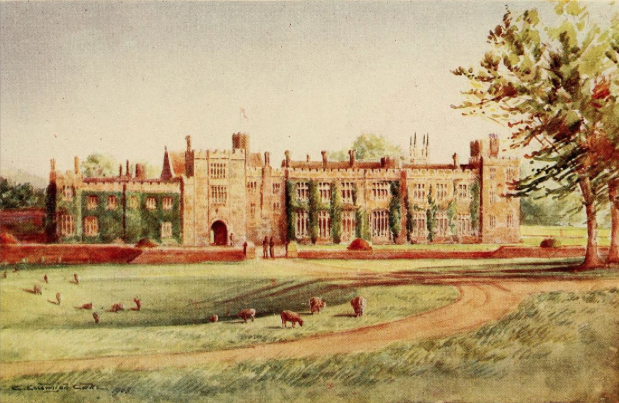 Charles is probably best known for his work at Knole where he effectively became artist-in-residence. 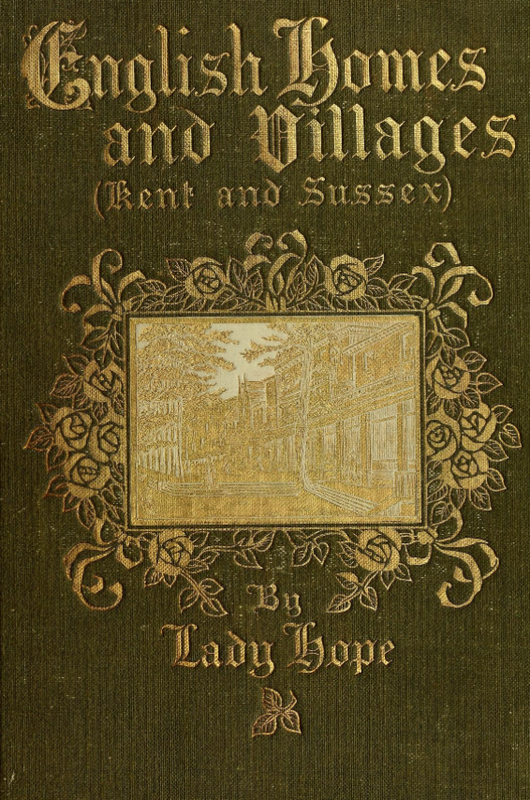 He illustrated the 1906 guidebook for Lionel Sackville-West, as well as taking family portraits. 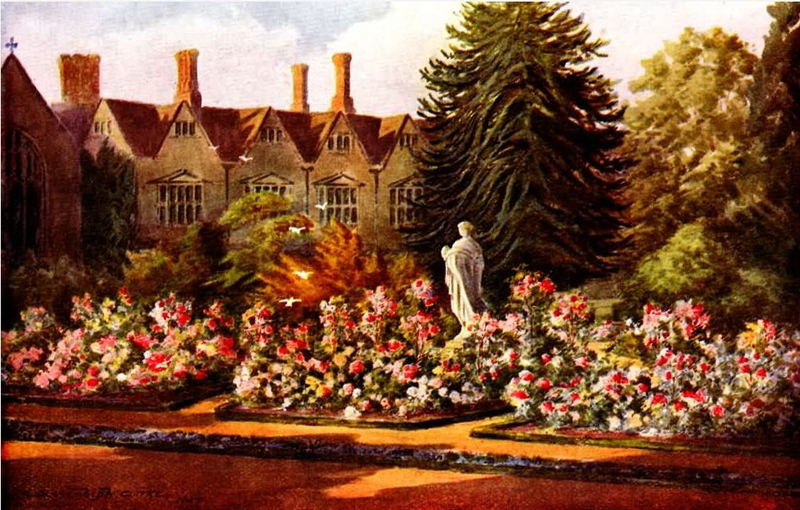 The archive at the house still contains a box of his glass lantern slides which, along with paintings, photos and postcards give a very full picture of the house and garden around the turn of the 19th and 20thc. 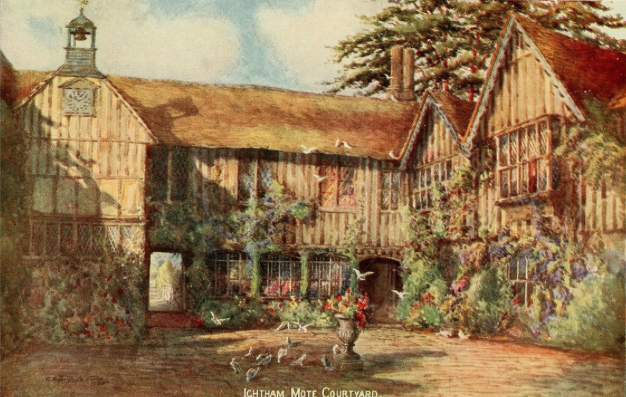 It even gives a glimpse into the way that plants and cut flowers were used around the house. 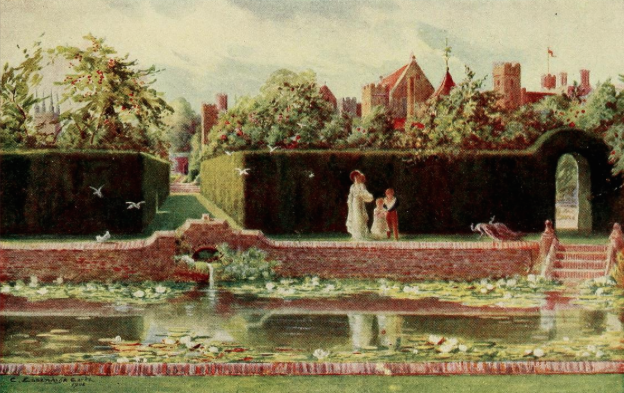 Corke’s working relationship with Salmon must have been quite good because in 1909 the company published English Homes and Villages by Elizabeth Reid Hope, which was illustrated largely with his paintings. 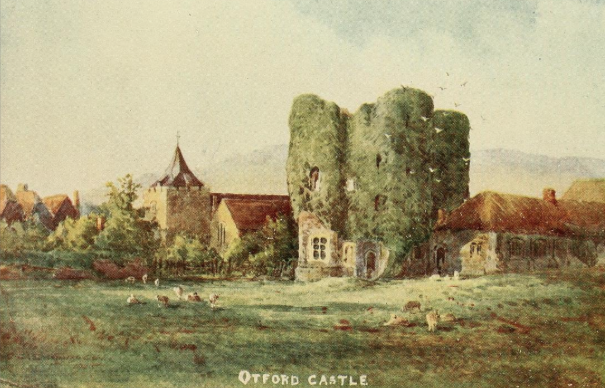 Many of these paintings were turned into postcards as well. 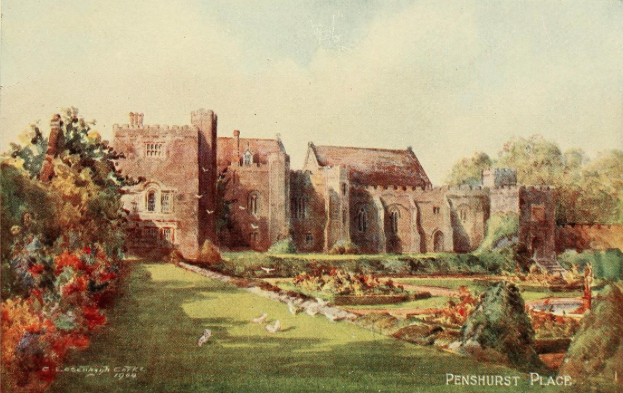 In addition to Knole Charles painted a series of the exterior and gardens of Penshurst Place, the great Elizabethan estate south of Sevenoaks, including Diana’s Bath [3rd image down] and a wonderfully evocative double herbaceous border. 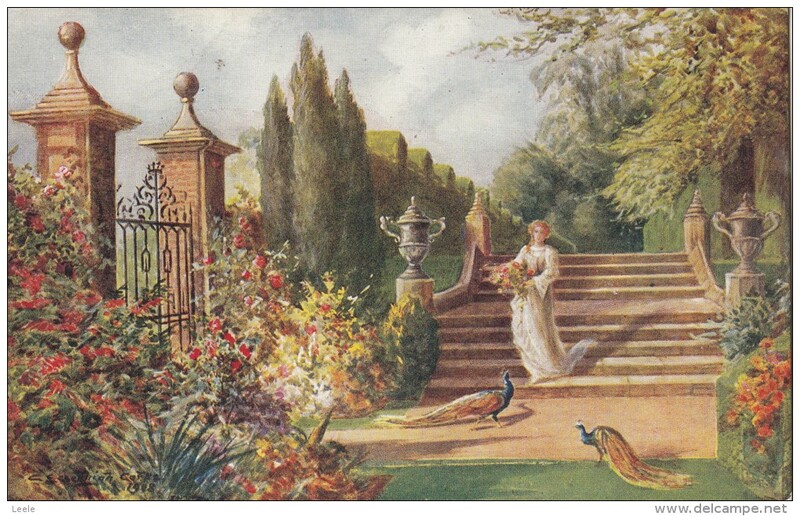 The last image, the garden steps and gateway, is very reminiscent – although a lot more ‘fantastic’ – of a painting by George Elgood of the same place published in 1904. 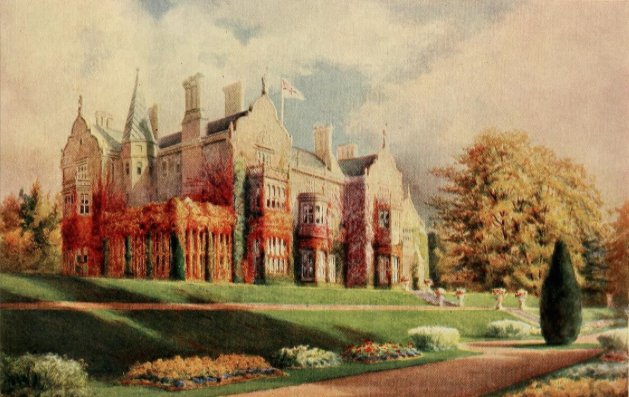 Lady Hope described the gardens as being “thoroughly in harmony with the house, and she outlines the renovation work that was being carried out by its new owner Thomas Colyer-Ferguson who saved the house from its inevitable fate had it been allowed to decline any further. 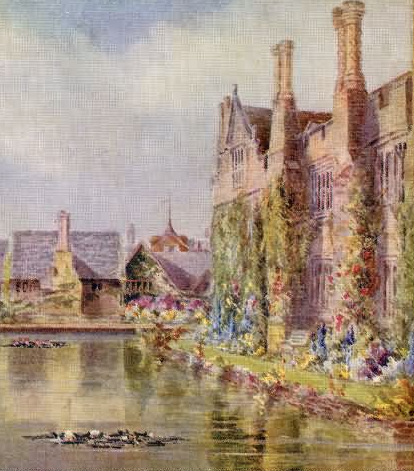 Charles’s paintings capture the house and garden at this crucial point in its history. 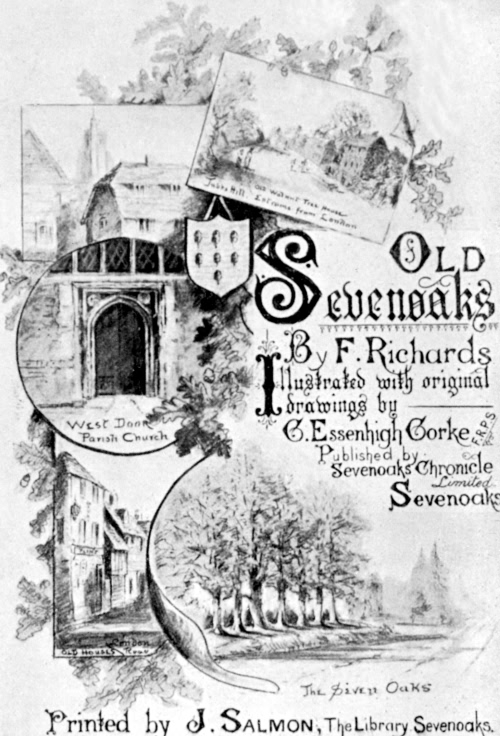 Corke also provided sketches of local scenes for Frank Richard’s book Old Sevenoaks in 1901. 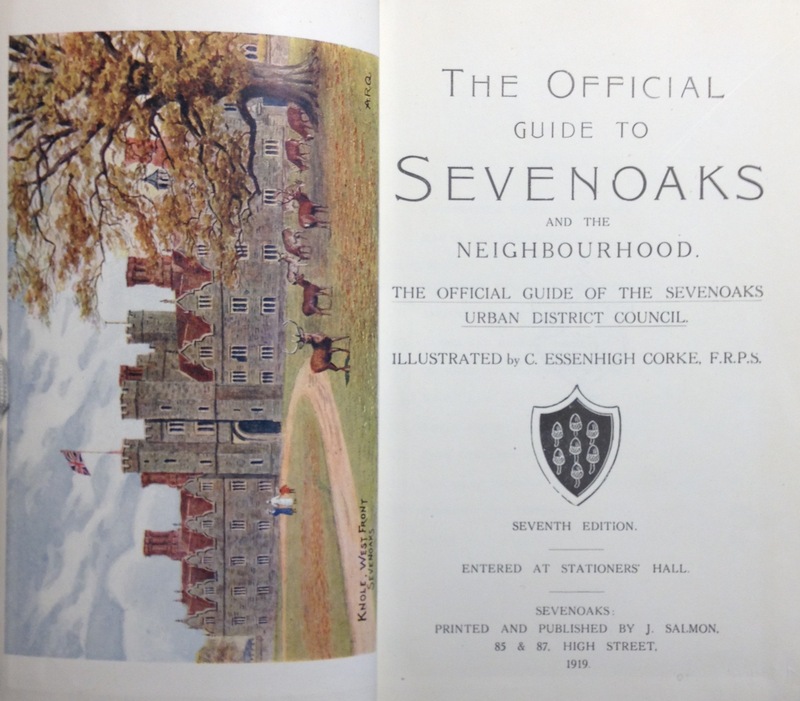 Later, in 1911, he produced short illustrated guides to Hever and Knole, for Salmon, and in 1919 produced all the photographs for the official guide to Sevenoaks Urban District Council, again for Salmon. 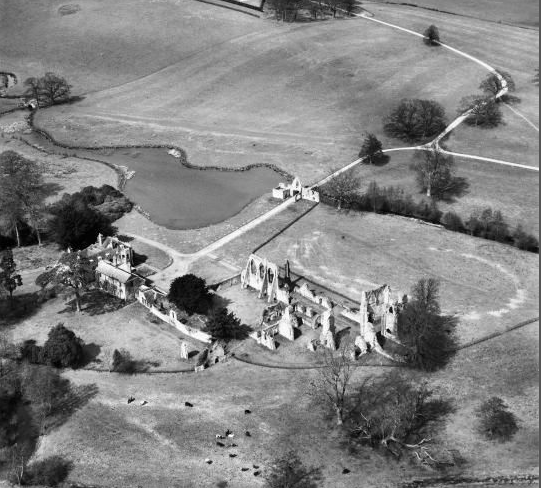 Charles retired from the shop because of ill-health and moved to the Pump House in 1910 where he built a studio in the garden. 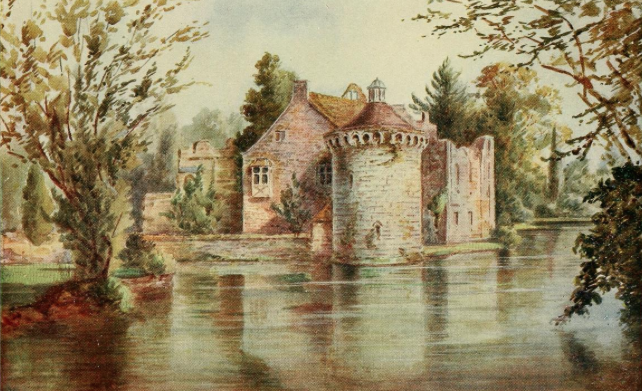 The photographic studio was handed over to his son, Henry, of whom more in another post soon, and his daughter Beatrice. He died in 1922. 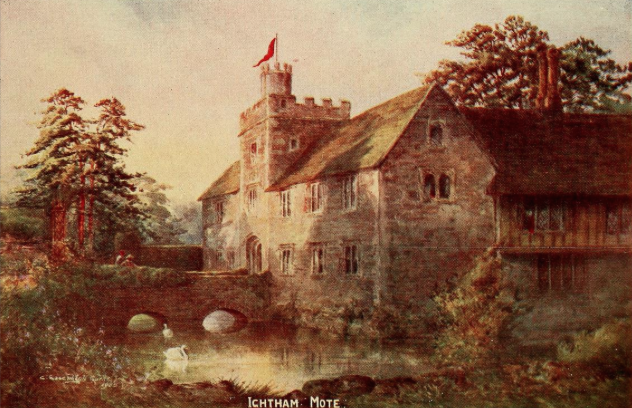 This entry was posted in Uncategorized and tagged bayham, kent, knole, National Trust, penshurst, photography, postcards, scotney, sevenoaks. Bookmark the permalink.